Johnny Rockets, a 50s-style burger and malt shop chain of restaurants, has opened its first central San Diego location in La Jolla as part of the Westfield UTC expansion that also includes San Diego's first Shake Shack. The Johnny Rockets La Jolla location was opened in conjunction with the Westfield UTC's $540 million redevelopment that includes a new, three-level retail building, a new Nordstrom and an additional 251,000 square feet of retailers. 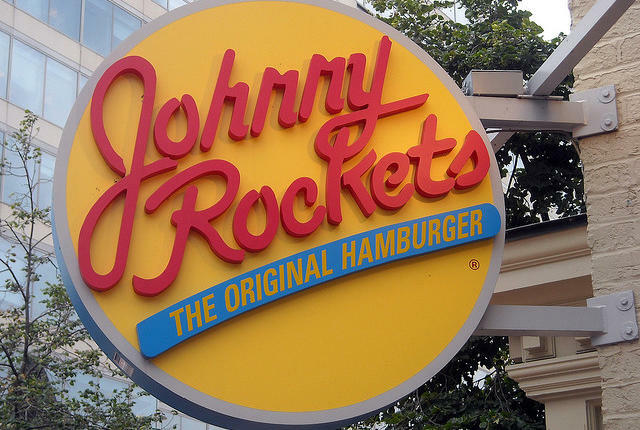 The new eatery will be constructed with the brand's upgraded design that the company refers to as "the new Johnny Rockets Diner 2.0," which includes modern technology, a fresh design and enhanced staff uniforms. The outpost is operated by Cruzar California I LLC and is now open. Johnny Rockets taps into American nostalgia with its 50s diner decor like red vinyl booths with chrome accents, individual jukebox stations at each table, dancing servers dressed in the decade’s familiar soda fountain uniforms, a dining bar, and a menu of classic favorites like burgers, fries, hot dogs, shakes, and malts. 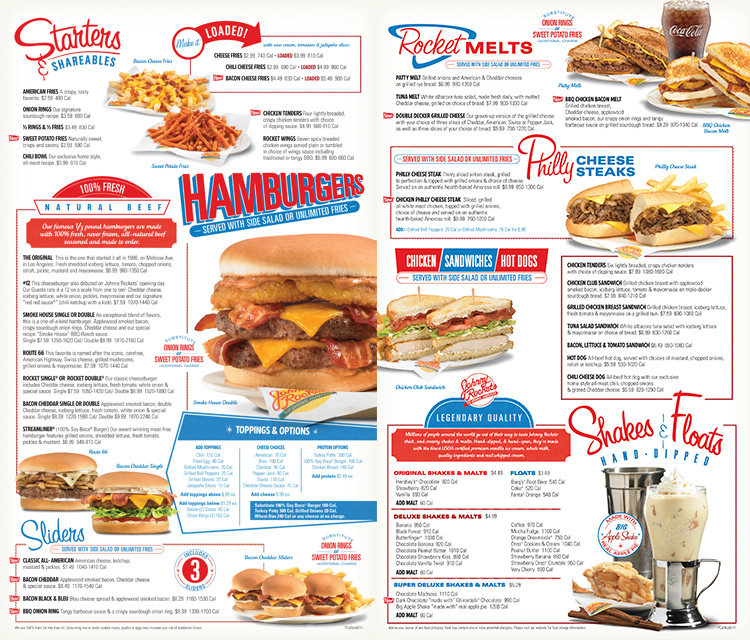 Founded in 1986, Johnny Rockets was inspired by The Apple Pan restaurant in Los Angeles, CA and is now owned privately by Sun Capital Partners, which also has ownership interests in Boston Market and Friendly's. There are currently 130 Johnny Rockets locations around the world, including restaurants in 16 countries. The closest Johnny Rockets locations to San Diego are currently in Vista and Camp Pendleton. For more information on Johnny Rockets, visit johnnyrockets.com and check out the menu below.